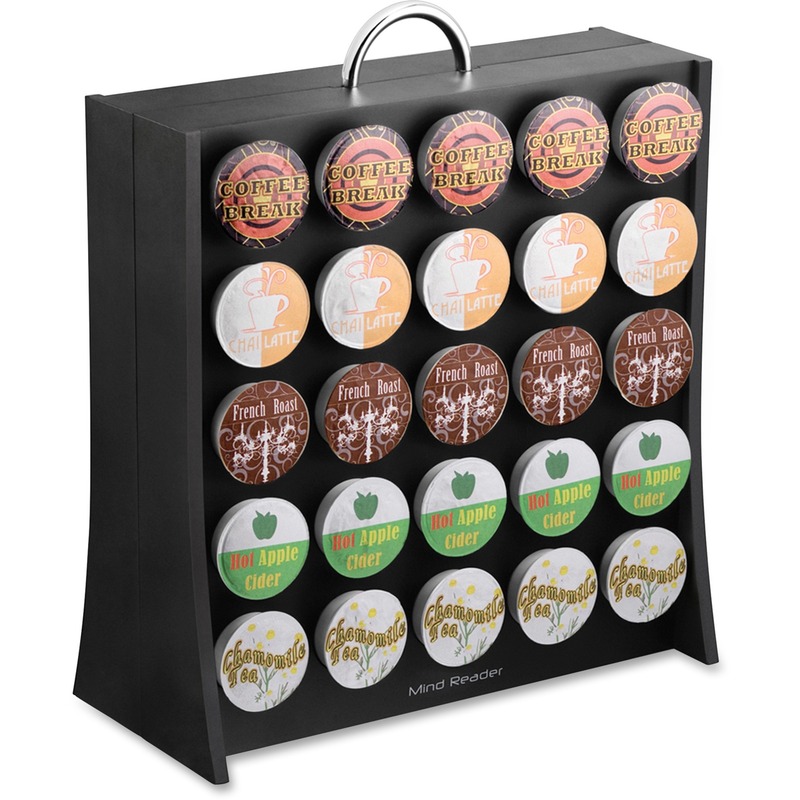 Coffee condiment organizer adds the perfect touch to breakrooms/lunchrooms at offices having up to 100 employees. It is easy to clean and built to last. Tough, safe, one-piece plastic will stand the test of time. 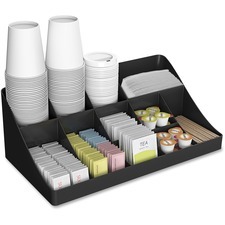 The 11 compartments hold all of your serving essentials, including sugar, drinking cups, stirrers, napkins, creamers and even single-serve coffee cups. Organizer capacity is up to 64 drinking cups.